One of the most crucial goals that leading Eurasian nations are striving for is economic and transport integration in their continent. Schemes such as One Belt, One Road Initiative (OBOR) and the Eurasian Economic Union (EEU or EAEU) were implemented a number of years ago and are running successfully at present. However, it is impossible to imagine an integrated Asian region without Afghanistan. Since ancient times, Afghanistan’s geographic location made it an important transportation hub, where land routes that connect the Middle East, Central Asia, South Asia and China crossed. Afghanistan’s role is invaluable as far as transportation connectivity within the Eurasian region is concerned. Unfortunately, war, socioeconomic downturn, and the presence of terrorist groups in Afghanistan over a number of decades have isolated the nation from its neighbors. Nowadays vehicles carrying freight and passengers avoid the country, which substantially limits trade and economic development of the region. The situation in Afghanistan is a serious obstacle to Eurasian integration. It is possible to continue bypassing Afghanistan and use inconvenient alternate routes. But, sadly, terrorist groups operating in this territory also threaten security of all the neighboring regions, which undermines any integration initiatives. A stable and secure Afghanistan would certainly benefit these projects. In order for peace and stability to return to this nation, aside from fighting terrorism, it is essential to create work places, build necessary infrastructure, improve living standards and develop the country socioeconomically. Hence, for nations and organizations interested in Eurasian integration the obvious choice is to cooperate with Afghanistan on an economic level, and promote its integration into the international transport and trade system. One of the most important initiatives aimed at improving the Afghan economy and putting an end to its economic isolation is the Lapis Lazuli corridor (LLC). Similar to China, which based its OBOR project on the ancient Silk Road, Afghanistan intends to revive its old routes used to transport lapis lazuli, a semi-precious stone that the project is named after, to Europe, the Middle East and Africa The LLC is a well-connected international transport corridor that includes railways, roads, sea routes and airports. It encompasses roads leading to Afghan towns of Aqina and Torghundi, as well as the capital of Turkmenistan, Ashgabat. The route continues onwards until the Turkmen port city of Türkmenbaşy, on the eastern coast of the Caspian Sea, and on crossing this sea, it reaches one of the biggest ports it covers, the capital of Azerbaijan, Baku. From Baku, the route traverses the entire territory of Azerbaijan into Georgia. Once the corridor reaches the Georgian capital, Tbilisi, it splits into two “branches” leading to Poti and Batumi, two Georgian ports on the Black Sea. From Batumi, a part of the route continues its passage by land towards Turkey, traversing the entire country in the East-West direction. It finally reaches Istanbul, Turkey’s main port, located on the Bosporus Strait, which links the Black Sea and the Sea of Marmara. The Aegean Sea then connects the latter to the Mediterranean Sea, which lies between Europe and North Africa. Hence, it is safe to assume that freight and passengers moving along the LLC have a wide range of destinations to choose from. The LLC initiative was proposed in 2012 and immediately attracted attention because of its obvious economic benefits, and the fact that it is relatively easy to implement as most of the necessary infrastructure, such as railways, roads and sea ports, were built a long time ago. The LLC initiative required additional investments amounting to $2 billion, which is a comparatively small sum considering the scope of such projects. It has been reported that the money should cover expenses connected to improvements of the existing infrastructure and customs procedures. The opening of the new Azeri-Georgian-Turkish railway, Baku-Tbilisi-Kars, in October 2017 was an important stepping stone for the initiative. The capacity of the new railroad line is 10 million tons a year, and may be increased up to 25 millions tons per annum. The railway should become a crucial part of the LLC. In November 2017, during the Seventh Regional Economic Cooperation Conference on Afghanistan, five nations, including Afghanistan, Turkmenistan, Azerbaijan, Georgia and Turkey, signed an agreement on the LLC, thus paving the way to the beginning of the project. 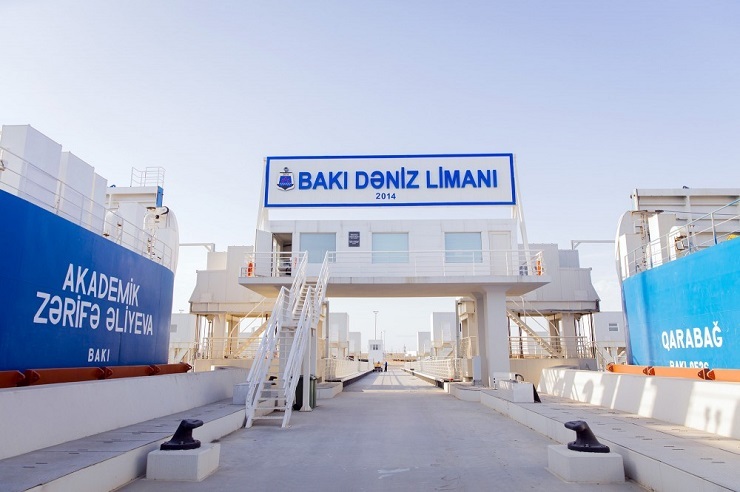 In May 2018, a new international port opened in the previously mentioned port city of Türkmenbaşy in Turkmenistan, which was another stepping stone for the LLC. Annually, the new port, equipped with state-of-the-art machinery and technology, can service 75,000 ships, 300,000 passengers and handle up to 18 million tons in freight. Most experts agree that the LLC initiative will pay off fairly soon and bring substantial returns on investment to all of its participants. However, some people’s opinions differ. Country-participants in the LLC still have many issues to resolve, such as determining the amount to be invested, conducting a feasibility study, optimizing the regulatory framework, etc. Notably, there are other economic corridors connecting Afghanistan to Turkey and Europe, for instance those passing through Iran. Some experts think that the LLC will not be able to handle the competition posed by well established routes used by Afghan businessmen. In addition, freight and passengers transported to Europe via the LLC will have to cross more state borders, in comparison to the route via Iran. Still, LLC supporters believe that the initiative is quite justifiable. Firstly, Afghanistan is planning on substantially increasing its trade with Europe. 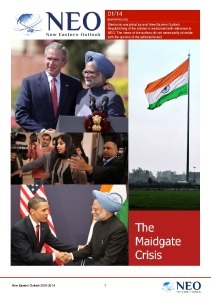 Up until now its main trade partner was its neighbor Pakistan. However, in recent years, the relations between the two countries have cooled, which led to a military conflict resulting in multiple deaths in May 2017. Naturally, the trade turnover between Afghanistan and Pakistan decreased from $2.1 billion in 2015 to $500 million in 2017. And currently Afghanistan is redirecting its exports towards Europe, and the new corridor leading West will surely find its use. Secondly, it is unlikely that the LLC will transport only goods from the five participating nations and Europe. It has been reported that China has demonstrated its interest in the initiative, and is planning on connecting it to OBOR. It is worth reminding the readers that in August 2016, the Sino-Afghan railway began its operations. At present it is not used extensively, despite China’s promises to increase freight traffic. If the LLC and this railway are linked together, China can gain access to the Black and Mediterranean Seas, as well as the countries in Southern and Eastern Europe. This could encourage PRC to substantially increase the flow of goods, and turn the LLC into a very busy trade route. It may even benefit China that this corridor bypasses Iran. Firstly, we must not forget that Iran is currently facing the threat of new international sanctions because of its nuclear program, which may subject transportation of large stable freight through its territories to risk. Secondly, powerful and ambitious Iran aspires to become a regional leader. Although at present, a strategic partnership is in place between Iran and China, aimed at its common competitor, the US, the relationship may yet turn into severe rivalry, as was the case with China and India. This is an additional reason why China could invest in developing the LLC. Hence, it is safe to assume that the LLC has every chance of becoming a sought after transport corridor of regional prominence. It could make Afghanistan an important part of OBOR and attract new substantial investments from China. This may, in turn, lead to the growth in prosperity and increased security not only in Afghanistan, but in Asia as a whole, and substantially stimulate Eurasian integration.